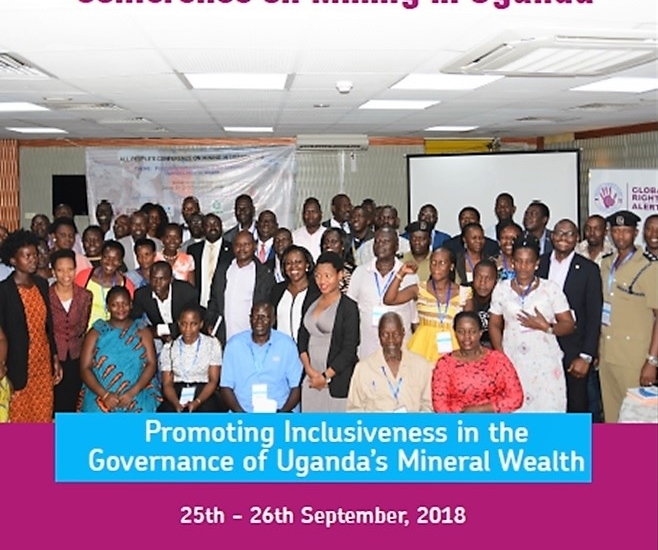 Global Rights Alert, an Influencing grantee from Uganda, implements a project to help redress the gender balance in the mining sector in Uganda. Golden voices in gold mining aims to mobilise women’s voices working in the gold mines of Mubende and Buhweju Districts. One of the ways they do this is by ensuring the right women are at the table rather than on the menu of important gatherings. Two of the gatherings and subsequent publications are available below. 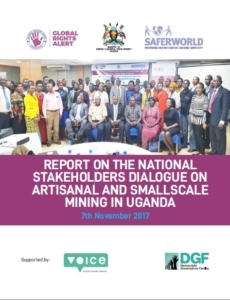 Thie is report from the National Stakeholders Dialogue on Artisanal and Small Scale Mining in Uganda held in November 2017. Click on the picture to download the full report. 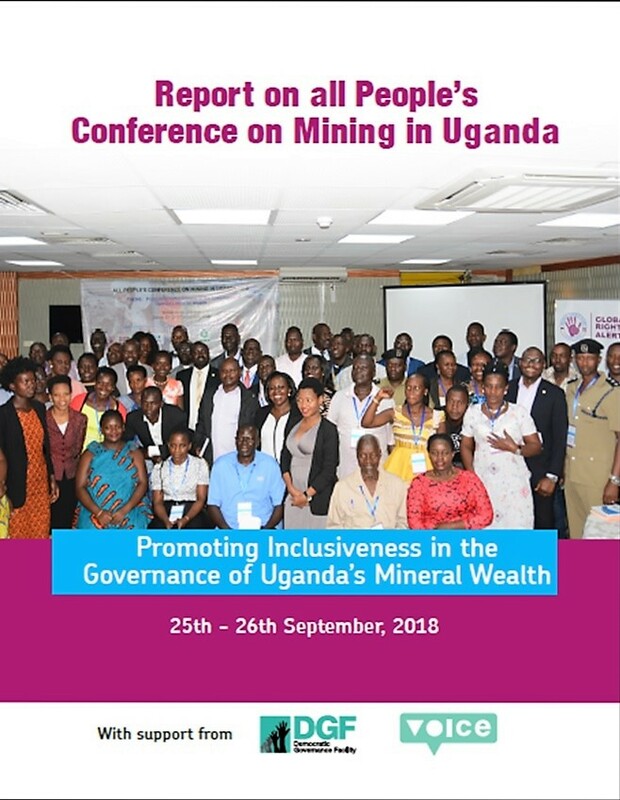 This report presents proceedings from All People’s Conference on Mining in Uganda held on 25th & 26th September, 2018 under the theme, “Promoting inclusiveness in the governance of Uganda’s mineral wealth,”. 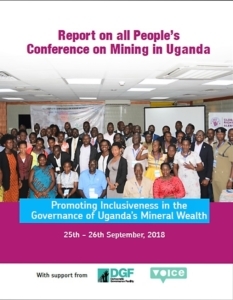 The conference was organised by by Global Rights Alert (GRA) in partnership with Action Aid Uganda (AAU), Publish What You Pay (PWYP – Uganda) and Mubende United Miners Assembly (MUMA). Click on the picture to download the report.